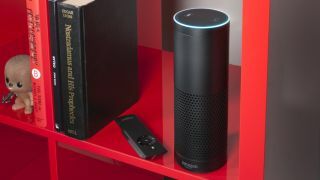 If you're forced to choose between those precious moments of extra sleep and reading the headlines in the morning, the latest update for the Amazon Echo speaker might have the solution. The update has added Trove to the speaker, an option that enables you to ask for the top news headlines on any given subject. If any of the headlines happen to pique your interest you'll still have to look elsewhere for more details, but Trove could prove to be an efficient way to catch up on the news of the day while you're, say, in the shower. The update also fine-tunes Echo's alarms and timers, adding the ability to ask when specific timers run out, and cancel alerts when the weekend arrives. Want some TV to go with that audio? Our Amazon Fire TV review has been updated.